Solar Impulse 2, now preparing for its imminent attempt at an around-the-world voyage, has made three flights in Abu Dhabi, one maintenance test to check operation of the huge craft, and one training flight each for the adventure’s pilots, Andre’ Borschberg and Bertrand Piccard. In almost every video of HB-SIB’s takeoffs and landings, two or three cyclists can be seen chasing the Solar Impulse, causing one curious viewer to ask EV World what kind of bikes they are. Of course, they are electrically-enhanced, fitting the project, and Swiss, part of Solar Impulse’s national pride. The Stromer bicycle is an advanced machine, with a rear wheel-hub motor, removable battery pack, and connectivity through a smart phone interface. There is some conflict between the guesstimate of which model the Solar Impulse team uses by EV World’s editor, who is himself involved with electric bicycle sales, and the specifications set forth by Stromer. EV World’s editor shared the following. “I soon learned the answer after querying the Solar Impulse team: It was a Stromer electric bike and I am guessing it is the 600W, 36V ST1 Platnium, which breaks the typical European convention of limiting electric assistance to 250 watts or about one-third horsepower. 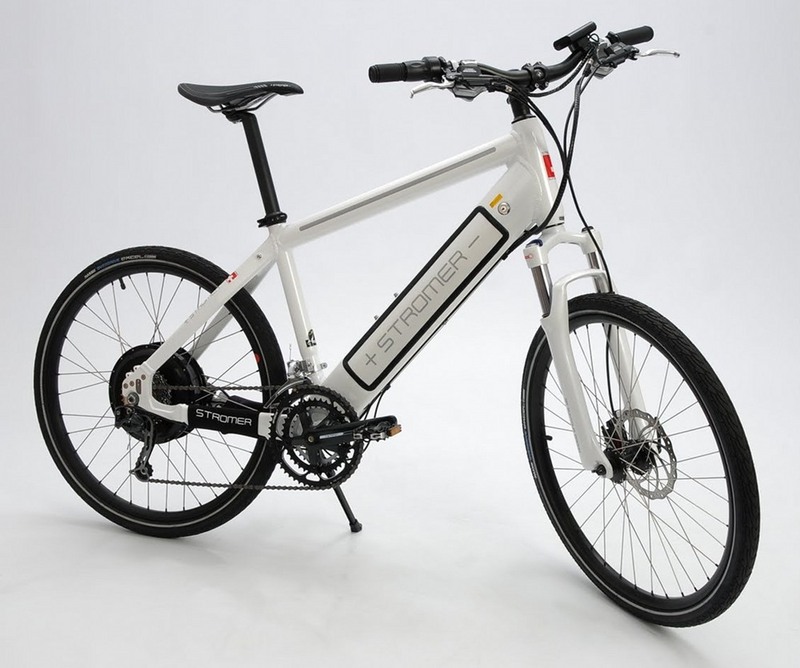 The ST1 Elite does meet EU e-bike technical standards. 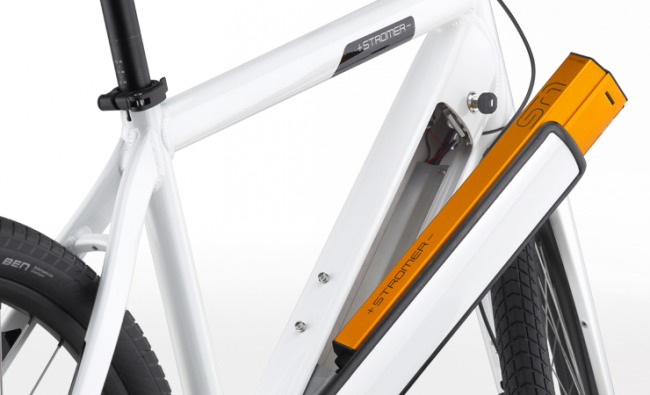 Stromer indicates the ST1 has a choice of motors ranging from 250 to 500 Watts (.335 to 0.67 horsepower), and torque from 20 to 40 Newton meters (14.75 to 29.5 foot-pounds). It includes a 36 Volt battery pack that comes in two sizes – 398 Watt hours or 522 Wh. The smaller pack weighs three kilograms (6.6 pounds), and the larger pack can provide 40 to 100 kilometers (25 to 62 miles) range with a 70 kilogram (154 pound) rider and a sensor sensitivity setting of 3. These types of settings are managed by the rider through a three-button control system, which also allows use of regenerative braking for increased range. Cycling laws throughout America vary widely, so local ordinances may not permit use of these imports. In the meantime, off-bike charging and electronic controls reflect the kind advanced thinking that may lead to hub motors for ultralight takeoff assistance, or even electrically-enhanced flight for human-powered aircraft. Besides, they look so cool speeding after the giant solar-powered airplane. Nice that this information has been published. Since all the videos seem to be at night we can’t tell much about the bikes on TV. Tonight I was looking for the motor but couldn’t be sure it was in the rear hub.